It wasn’t the IRT that shook Lincoln Center plaza for the past three weeks. The sounds were generated not by a rumbling subway train, but by the pounding feet of ticket holders on their way to see consecutive weeks of blockbuster ballets at the Metropolitan Opera House. 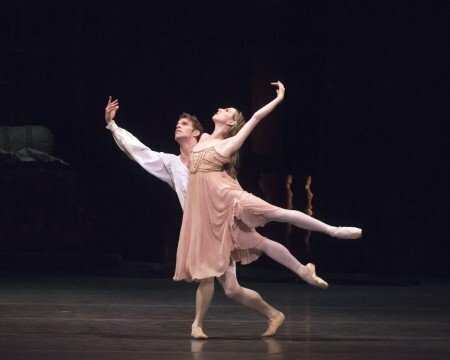 American Ballet Theatre concluded its 2016 Met Season with three of its most popular productions, strategically scheduled to take advantage of the seasonal invasion of tourists and summer intensive bunheads and their parents, graduations, being (most of the time) the only ballet game in town, and any ennui created by the previous five weeks of performances. Though they might not have much in common, Artistic Director Kevin McKenzie’s update of the Marius Petipa/Lev Ivanov Swan Lake, Sir Kenneth MacMillan’s Romeo and Juliet, and Alexei Ratmansky’s adaptation of Petipa’s original The Sleeping Beauty are all, collectively, Big Ballet. That is, these productions are large-scale, with sumptuous sets and costumes, and lead roles that for better or worse define a dancer’s capability, and provide a sense of ballet history. Once one grows accustomed to a particular production’s quirks (while acknowledging that there’s always something new to see in these densely textured stagings), the significance of these performances is in the individual growth and differing interpretations that one can see only by attending multiple performances over time, and by evaluating the relative merits of one to another. For the past ten years, and with certain special exceptions, I have been comparing and contrasting individual performances in lead and featured roles in these productions (and in the previous incarnations of The Sleeping Beauty) in the context of one review. This seemed the best way to proceed with the seven blockbuster presentations I was able to see this year. Each lead dancer I saw in the same ballet was remarkably different from the other. 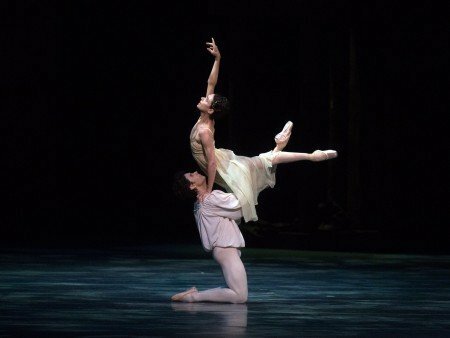 There were four particular highlights in lead roles: Alessandra Ferri and Herman Cornejo, and Diana Vishneva and Marcelo Gomes, in Romeo and Juliet; Sarah Lane and Cornejo in The Sleeping Beauty, and Cassandra Trenary’s sparkling New York debut (ably partnered by James Whiteside) as Aurora. When I first started attending ballet, in the Stone Age, I had considerable difficulty with Swan Lake. It was too ponderous for someone not already a convert to enjoy. I eventually came to appreciate the ballet’s gifts, but it took time – and strong coffee. McKenzie’s staging makes the tonnage move with a contemporary sensibility – a critical ingredient to get an audience to enjoy it more than just appreciate it. Act III is structured marvelously, with the dances for the Princesses and von Rothbart (not the one in the lizard suit) a particular highlight. There is no question that liberties have been taken with the ‘standard’ choreography for Act IV, but at that point in the ballet it’s more important for 21st Century sensibility that the action moves to its conclusion expeditiously, while of course maintaining mood and meaning. And it’s every bit the classic Swan Lake, not a reinterpretation or reimagining. In the performance I was able to attend this season, Gillian Murphy danced Odette/Odile to Cory Stearns’s Prince Siegfried. Stearns did a fine job, and his partnering was sensitive and strong. He’s become a reliable, albeit not particularly exciting, danseur. Murphy, however, has had more compelling outings. Her early-season injury may have had an impact to be sure – but technique wasn’t the problem. It seems especially difficult for a ballerina who excels as Odette, as Murphy does, to also be a great Odile – they require different characterization resources. Natalia Makarova, one of the greatest of swan queens, is quoted as having had particularly difficulty getting Odile right. Murphy’s Odile, technically, was fine. I’ve seen her do the fouettes better previously (better is the wrong word – more spectacularly, with repeated doubles and triples instead of only one – in addition to her extraordinary port de bras sequencing), but they were superb anyway as she delivered them. Her ability to maintain her center is truly astonishing. But her Odile lacked essential sensuality. Her facial expressions when she was supposed to be seducing him were vapid, and rarely changed. Odile doesn’t need to sneer at him (the Prince isn’t her toy to play with, although that’s what she’s doing), but it requires more than just looking at him and having the choreography do the rest. But Murphy’s technical ability was so outstanding that perhaps few noticed. More easily noticeable were flaws in Alexandre Hammoudi’s von Rothbart (the one not in the lizard suit). Most everything was off, from shaky, skippy landings to timing issues to a bland characterization. Hammoudi has danced this role significantly better on prior occasions. Of those productions I’ve seen, Sir Kenneth MacMillan’s version is the Romeo and Juliet gold standard. There are flaws, including critical developments in the play that are missing, but the ballet inexorably and coherently moves to its intense chorographic beat through to its tragic conclusion, and when it ends there’s usually not a dry eye in the house. It’s everything a contemporary classical dramatic ballet should be. The most remarkable Juliet of the three performances I saw was Alessandra Ferri’s. And I learned something from it. I can remember her as she was, but still appreciate her as she now is – one experience and one memory doesn’t overwrite the other. Ferri is one of the greatest of MacMillan Juliets. In her prime, she made the role sing and the heart melt partly because of the caliber of her technique, but also because she fit the role of the passionate young teenager perfectly. By the time she gave her “farewell ABT performance” in 2007, she could still dance a remarkably believable Juliet, and the performance provided a memorable capstone to a memorable career. It’s now nine years later. Anyone thinking that a ballerina in her 50s can dance the role to the same degree of technical excellence as she did in her 40s and earlier (the first time I saw Ferri dance Juliet, she was in her early 20s) is being disingenuous. She can still do the essential steps, but can no longer do them quite as well as she did before, and shortcuts had to be taken to insulate her from much (but not all) of MacMillan’s tumultuously passionate choreography. And although she is one of those ballerinas who is essentially ageless, she does not look like she could pass for a teenager. All that having been said, however, Ferri’s Juliet on June 23 was miraculous. Her short, lean body is as expressive now as it ever was, and she’s in remarkable physical condition (which was well known to anyone who has seen her performances in lower decibel productions over the past few years). It didn’t matter that some relatively minor liberties were taken, or that her technique is a tad diminished. Aside from being visibly older (admittedly more of a difficulty for me in this role than with others), she nailed it. Once a Juliet, always a Juliet. Act I was a bit weaker than others, as here she must be most youthful. She acted it, but it didn’t work as well as it might have. But once she got past the balcony scene, she was home free, and she knew it. Her Act III was superb in every respect. Most impressive – aside from her acting prowess – were the ways she used her still supple upper body (not a hint of brittleness), including her still astonishingly liquid arms. Her Romeo made it considerably easier for her. Not only was Cornejo’s partnering impeccable, but he danced his solos as if he was shot out of a cannon. Without the need to do any extraneous ‘tricks’, Cornejo leapt higher, soared farther, and was technically brilliant in every respect. It was the performance of his life. Diana Vishneva never gives the same performance in the same ballet twice. Her Juliet two nights earlier was masterful, but quite different in many ways from the perfect performances she’s delivered in years past. For example, she kept her head down for most of the Act III edge-of-the-bed scene, which eliminated any chance of seeing that ‘light bulb’ go off in her head. And it looked more mannered in many ways than I’ve previously seen – seemingly frozen in extended positions for emphasis where none was needed. But with Vishneva, as with Ferri, it’s the overall experience. And the most remarkable aspect of her performance was the way she interacted with her Romeo, Marcelo Gomes. It has been universally acknowledged that Gomes is one of ballet’s great partners. Everything is secondary to his mission to present the ballerina in the best possible light, which he does constantly and consistently. That’s nothing new. And the genuine affection Vishneva and Gomes have for each other is universally recognized as well. These ingredients are significant for more than just being undeniable facts. Vishneva has complete faith in Gomes. Aside from the other virtues that each of them brings to the stage, the result is a Romeo and Juliet of unfathomable physicality. His ability, and her trust, allowed her to be free to deliver a scintillating performance. The speed and ferocity of their balcony scene, for example, was jaw-dropping. No fear; no hesitation. Vishneva ran into Gomes, beginning near one side of the stage and ending at the other, like a colt at full gallop. I’ve never seen anything like it. Sandwiched in between these performances was Isabella Boylston’s debut as Juliet at Wednesday’s matinee performance. Boylston’s Juliet could not have compared to those of Ferri and Vishneva. Like swans, Juliets are not hatched overnight. Her body isn’t as supple as others, and stylistic and characterization choices she made didn’t make sense (in Act I, for example, she was too much the Balanchine ballerina, and she wasn’t just wary of Paris, she was repulsed by him – which made smiling and dancing cheerfully with him later somewhat inconsistent). With Whiteside’s gallant partnering, however, her Act III was fine, and she did a super scream. Overall, it was a promising performance. In featured roles, Thomas Forster and Roman Zhurbin made the best of the somewhat tepid version of Tybalt that seems now to be ABT’s standard interpretation, while Patrick Ogle was too much of a nice guy. Mercutio is a role that Daniil Simkin is made for – his is a fabulous execution of it – and it was nearly equaled by Craig Salstein. On Tuesday, Arron Scott danced well, but was trying too had to squeeze in that one extra turn, resulting in several awkward landings and timing issues. Stephanie Williams danced a super Romeo’s harlot (as did Luciana Paris, but she’s been routinely brilliant in that role for years), and Stella Abrera delivered an electric performance that knocked her Lady Capulet out of the park. I’m getting used to Ratmansky’s The Sleeping Beauty, but that doesn’t mean I’m fond of it. Everything about it is intellectually brilliant, but it’s cold as ice, and the exceedingly wicked choreography provides little bang for the buck. As stunning-looking a work of art as it undeniably is, it’s a ballet for the 19th Century, and belongs more in a ballet museum than on a 21st Century stage. Ratmansky is arguably the finest current ballet choreographer – he’s certainly the most cerebral – and there’s a lot here to like. But there’s too much that works only for perpetual purists, or those who might enjoy a daily commute on a restored vintage subway car with cloth bench seats, no temperature controls, and insufficient straps to hang on to when the ride gets bumpy. The costumes may be period accurate, but toned down versions would have worked as well and not been laughable. The fairy dances in the Prologue are dull (the audience wakes up when the canary sings); the Garland Dance is inferior to that in the prior ABT incarnation (and the suitors, who were welcomed to the castle though the flower garlands in the prior version, here wander on and off the stage like extras); the dance for the nobles at the beginning of Act II is deadly dull (there’s a reason for that – to reflect the Prince’s sense of boredom, but it shouldn’t be boring to watch); and restoring the “what do I do now?” images in Act II, when the Prince and the Lilac Fairy arrive at the hidden castle, make it appear as if Aurora just got stuck with the dullest knife in the kingdom. More serious than all of this, however, is the strange-looking, and restrictive-looking, choreography. It’s one thing to eliminate superfluous tricks and inappropriate excess. I’m with Ratmansky on that. But there was no need to throw the baby out with the bathwater (particularly where the baby is a princess). Indicia of virtuosity that had evolved over more than a century are gone, replaced by choreography that might have been appropriate for 19th century bodies and training but which now looks pulled inward. That’s not to say that the choreography is easy – on the contrary, this is fiendishly difficult stuff, and instead of it looking deceptively easy, it looks as difficult as it is. What Ratmansky has choreographed for the Lilac Fairy’s solo in the Prologue, for example, looks like torture, as does much of the choreography for Aurora. Nearly every extended leg ends in attitude, which doesn’t so much make the overall gestalt more demure than it now needs to be, but visually dull. And the concluding grand pas de deux now looks considerably less grand – seeing the Prince execute a series of turns and jumps rather than soaring in happiness makes it appear as if he’s dancing in a straightjacket (which is not helped by the starched Napoleon outfit he’s forced to wear). In short, for all the effort that went into this, its precision, intricacy, and complexity, it’s as exciting as watching ice skaters do figures. What can make it considerably more interesting, however, is the opportunity to see how individual dancers handle Ratmansky’s choreography and role characterization. Of the three Auroras I saw this season, Cassandra Trenary and Sarah Lane delivered particularly extraordinary performances. I first saw Cassandra Trenary dance in November 2011 in a forgettable piece called Private Light. Although I disliked the ballet intensely, I recognized her potential immediately, and wrote that she was a dancer to watch. She still is. Beyond her technical facility, she has a vivacity that lends flair, and not a small degree of sensuality, to whatever she dances. But I was not prepared for her stellar New York debut as Aurora. This is a youthful, vibrant Aurora, with strong technique and an emotional maturity beyond her years. There were a few fleeting awkward moments with Ratmansky’s awkward choreography, but not many, and there is still some room for improvement, but not much. Whiteside provided attentive partnering and support, but looked frozen in his grand pas solo. Two days later, Sarah Lane, also a soloist (and one who merits many more performing opportunities than she gets), took Ratmansky’s Aurora to another level. In the context of yet another remarkably gutsy performance, Lane made the choreography reasonably comprehensible and fluid – perhaps reflecting the supreme classicist and filigree dancer that she is. What looked somewhat clumsy for others looked considerably more natural for her. For example, in her Vision Scene solo, there is a sequence in which she executes a series of double pique turns with her foot placed in front of, rather than behind, her working leg, ending with her right leg in attitude. She did it without taking an extra step, without missing a beat, and without looking anything less than a princess. Similarly, while Trenary made the ‘follow me’ part of the Vision Scene choreography a bit too literal, Lane’s interpretation was more subtle: she wasn’t calling him, the choreography was, without the need for embellishment. And in the Act III grand pas de deux, she was both flawless and luminous. Lane’s Prince Désiré, Cornejo, delivered another very fine performance, and was the only one to look confident in his execution and relatively comfortable in his costume. Hee Seo has become an extraordinary dancer/actress, delivering quality portrayals every outing. She repeatedly made her performances in John Cranko’s Onegin memorable, and after describing her initial Juliet as ‘promising’, she has grown to the point where, but for guest artists and pseudo guests, she is the finest Juliet of those members of the company given the opportunity to dance the role to date. But her technical strength in classical ballet has always been suspect, and it showed in her Aurora. In Act I, little went right (although, interestingly, her reaction to seeing her suitors for the first time was very much like her reaction as Juliet seeing Paris for the first time – concurrently wary and curious). She was wobbly, tentative, unable to balance for more than a second without seeking help. She got through the Rose Adagio, but it wasn’t pretty, and she and the audience knew it. She recovered to dance a fine Act II and Act III, but not at the same technical level as the others. She was matched in that respect by her prince, Hammoudi. In featured roles, all the dancers who I saw assay Bluebird – Zhiyao Zhang, Joseph Gorak, and Jeffrey Cirio – executed very well, but the three Princess Florine’s left different impressions. Boylston’s was performed sloppily, without completing phrases or providing clean transitions. Misty Copeland’s was more crisply danced, but lacked any sense of airiness. Lane’s Princess Florine, however, was exceptional. She delivered a crystalline performance noteworthy for her secure balances en pointe and sense of musicality and eloquent grace. And as the Lilac Fairy, both Devon Teuscher and Christine Shevchenko danced magnificently in what, in this production, is a particularly difficult role. Despite my concerns about his quest for historical accuracy, Ratmansky’s The Sleeping Beauty should be seen (and most likely will be for at least several more years to recoup ABT’s investment). It’s a blockbuster. But unlike McKenzie’s version of Swan Lake and MacMillan’s Romeo and Juliet, it’s a ballet with little contemporary sensibility, and about as appropriate for today’s audiences as calling New York’s Seventh Avenue and Lexington Avenue subway lines, including the #1 train that stops at Lincoln Center, the IRT (the acronym used to identify the subway line from its construction in 1904 into the 1950s) is for today’s New Yorker – as I did in the opening sentence of this review.